There’s no telling what’s next for the UFC heavyweight division’s crown after UFC 198. Stipe Miocic claimed the title after stopping Fabricio Werdum with a one-punch knockout victory, but there’s no stated top contender from the promotion. While many might point to Alistair Overeem, nothing is official. That uncertainty, coupled with what he sees as his record of achievement, is why Werdum believes the next course of action for the new champ would be to grant an immediate rematch. “I don’t think he’s better than I am overall. I think I’m a complete fighter and I showed that in the fight. 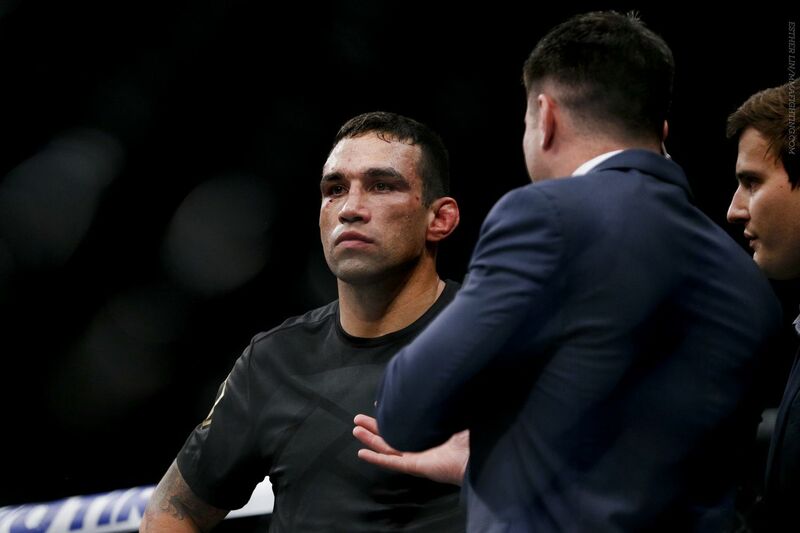 I was very conscious,” Werdum said at the post-fight press conference via translator. “The right word is reckless,” he said of his performance. “I was a little bit reckless. I had my vision too open. I needed to focus a little bit more on him. Sometimes that happens. Your vision opens and in that moment he hit me and I didn’t see it. It landed on the chin. UFC President Dana White was not in attendance and no UFC official commented on Werdum’s statement. While immediate rematches have been granted even in bouts where one fighter was clearly beaten, Werdum’s case for a rematch is historically thin. “In my opinion, I think that I was the champion until today. I think it would be the most fair, but I never had that problem. It’s not my decision. I’m not the one who decides. I don’t have options. I don’t have to pick one guy. There’s one guy that I’m going to fight and that’s it.